Yes! 150+ free online photo and images editors accessible with your browser, alternative to Photoshop Lightroom are listed on this page where 50 of them have been reviewed. 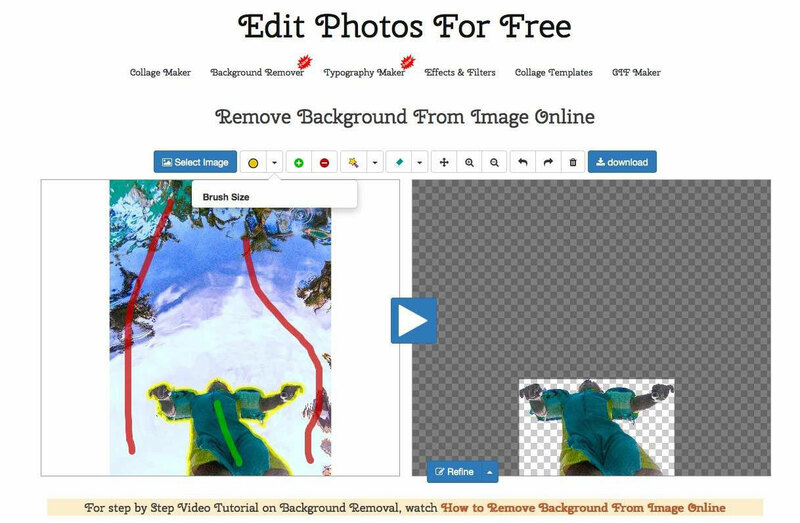 Nowadays a lot of website propose some online photo editors tools or free editing software alternative web based to edit your picture in the browser, and with the HTML 5 it become even more easier do build your own online photo editing application. Some of them look like Photoshop or Lightroom with the big advantage to work on your photograph online, meaning in your browser, for free, but most of them have a downside: they do not support RAW photo from your camera, though very few do, but in the other hand all of them will work at least, with your JPG / JPEG pictures. 1) Polarr2 free online photos editor RAW converter Lightroom like. 2) Polarr 3 free RAW photos and images editor in the browser. Polarr 3 handle RAW image like all the Polarr edition and has a totally new redesigned user interface. It does not look anymore like Lightroom, but you will not feel disorientated, it have all the photo editing tools of Polarr2 although radial and graduated filters are now a paying option on this version 3. Polarr 3 has a slightly different user interface, which one you prefer? is your taste. 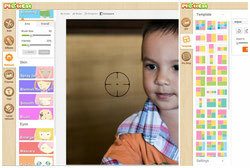 3) iPiccy free online photo editing software and face retouch. 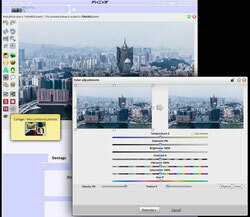 iPiccy is an excellent photo editing online software and image manipulation! May be the best of the best out there with the tools quantity and all the possible inter-action you are able to do with iPiccy. No RAW pictures support for the moment, hope one days it will, JPEG or PNG will do it very well. 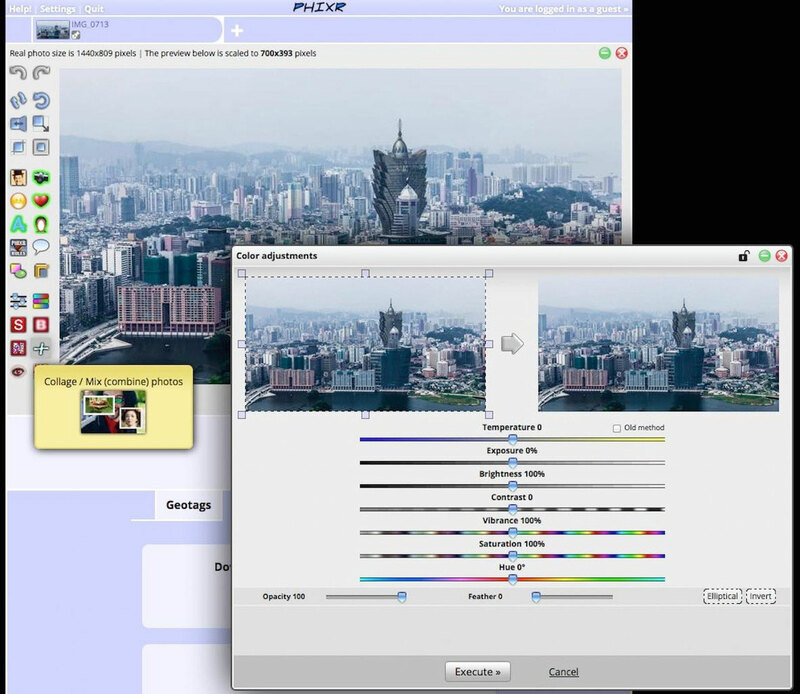 4) Pixlr Editor free web based Photoshop alike. Pixlr Editor work with layer, mask, etc... It look like and feel like Photoshop, it's aimed for advanced editing photographs and not so for beginners, due to it's Photoshop alike alternative look. It might be because it look like Photoshop, that it has it's taste and power. 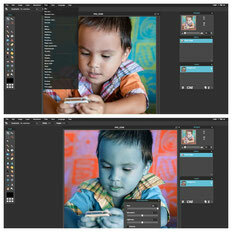 5) Sumo Paint a free online image retouching like Photoshop. 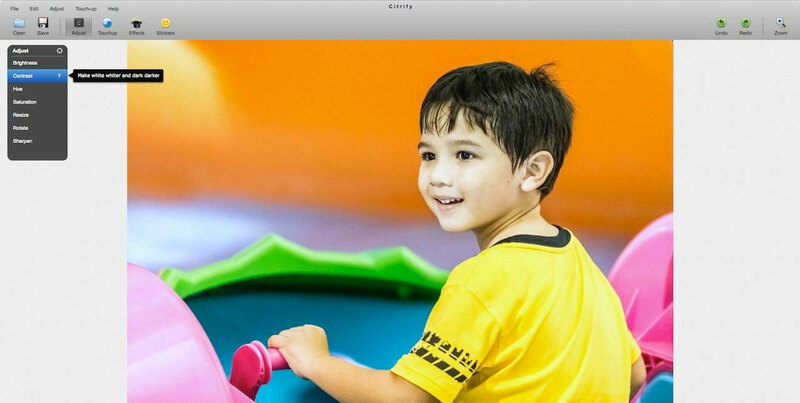 Sumo Paint is an online image editor, it does not take RAW image like CR2 or NEF from your camera, but JPEG will be fine. 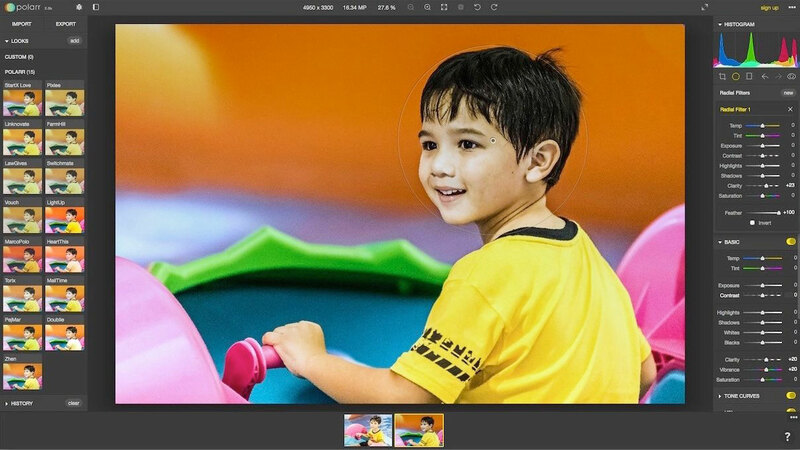 It's a versatile photo editor and painting application but it is not aimed to the beginners, it's a "pure" free online Photoshop alike, which mean also you need to have some knowledge about post processing your pictures. 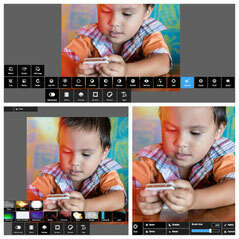 6) Pixlr Express easy to use free online photo editor. Pixlr Express is more oriented for a fast editing, with all options we need to edit properly a picture like the white balance, sharpness, exposure, brushes and a lot more. 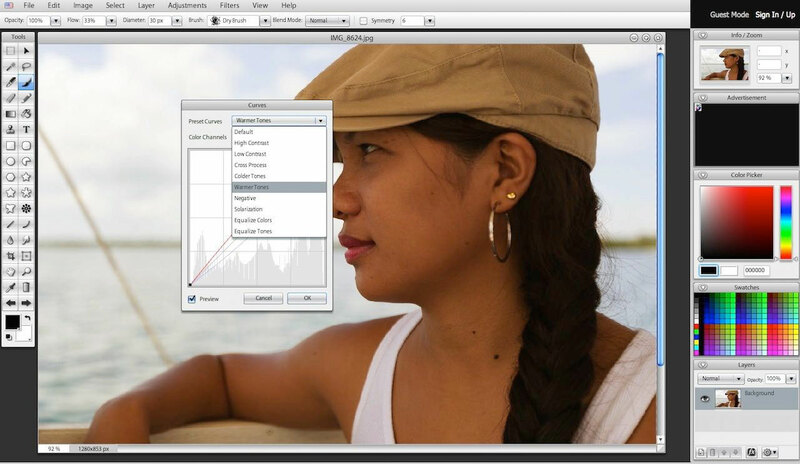 7) ToolPic free online photo editor Photoshop alike. 8) Pixlr O-Matic an easy photo effects and filters like Instagram. Pixlr O-Matic Is a very simple way to add filters, retro effects, frames and borders. It's all what it does, but it does it well and fast with hundreds and hundreds different choices. 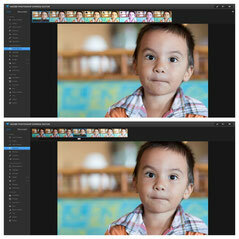 9) Adobe Photoshop Express free JPG (only) online editor. Adobe Photoshop Express , Yes it is from those gals and guys who do the real Photoshop. First at all i should say , it does not look like Photoshop ... at all, it is very user friendly. 10) BeFunky free picture online editor collage and filters. Befunky is a free online full photo editing suite and it has even a design editor for canvas and other greeting cards and magazine. 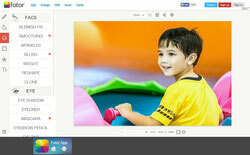 11) Lunapic free online photo editor, GIF and video retouch. Lunapic does not support RAW files like almost all free online editors, but it does support JPG, GIF, and some more type of files. 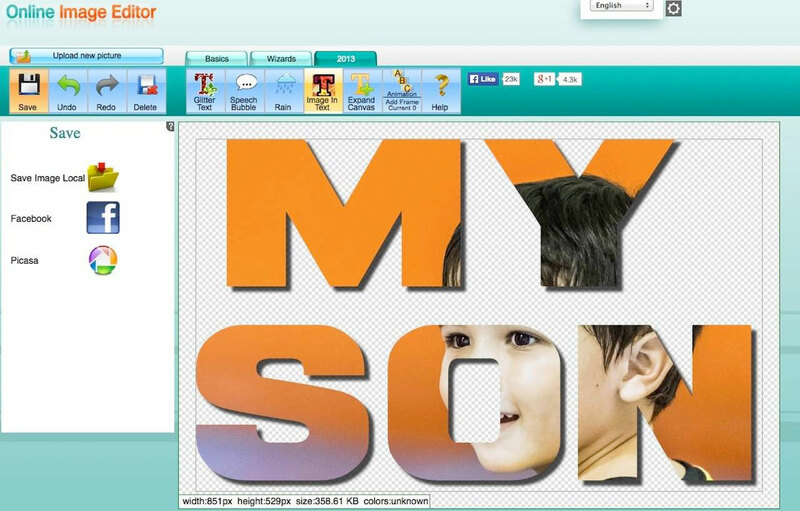 12) Fotor free online collage, photo editor and special effect. 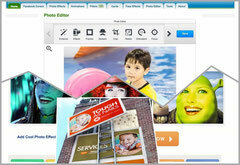 13) FotoFlexer free online photo editor and image effects. 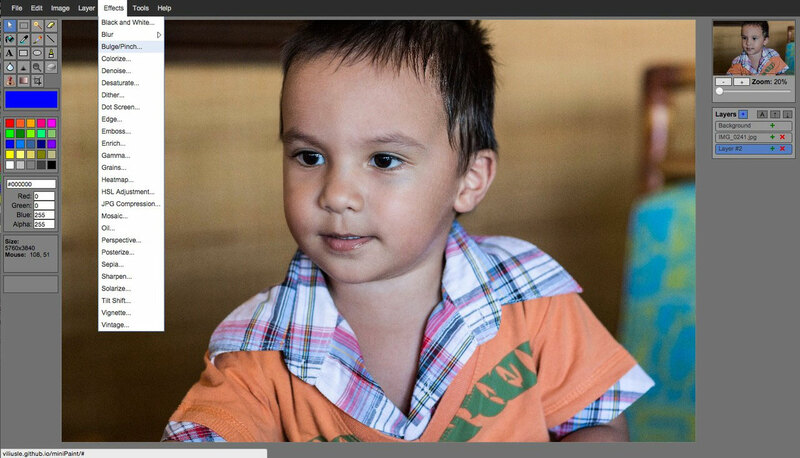 14) Photo Raster free online Photoshop alike. Photo Raster has no RAW support, but from all of the free Photoshop alike it is the only one which will keep your file size at the original size and not shrink it unlike others do ! You need to register before to use it, but after it's OK.
15) PicMonkey free photo editing and special effect online. 16) Ribbet free online collage and photo effects. 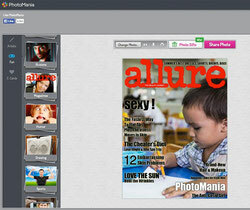 17) Citrify web based and browser free photo editor. 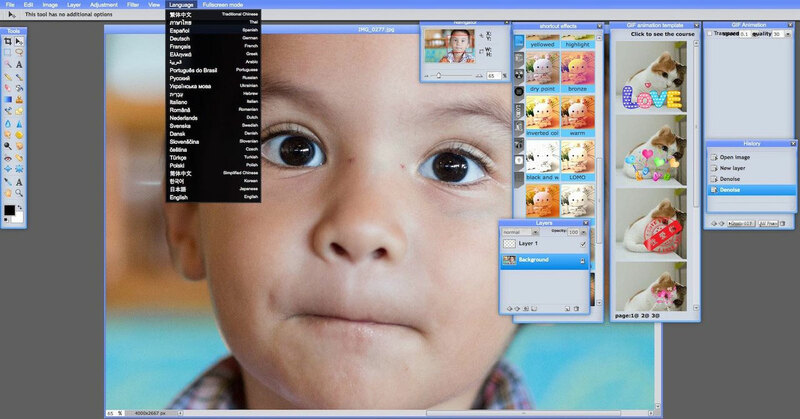 18) PhixR free online picture editor text and calendar maker. PhixR First will shrink or crop your picture to 1440 pixels at the widest, which is plenty enough for social media and email, but for large computer screen or to print an 8x10, it's too small in my opinion. 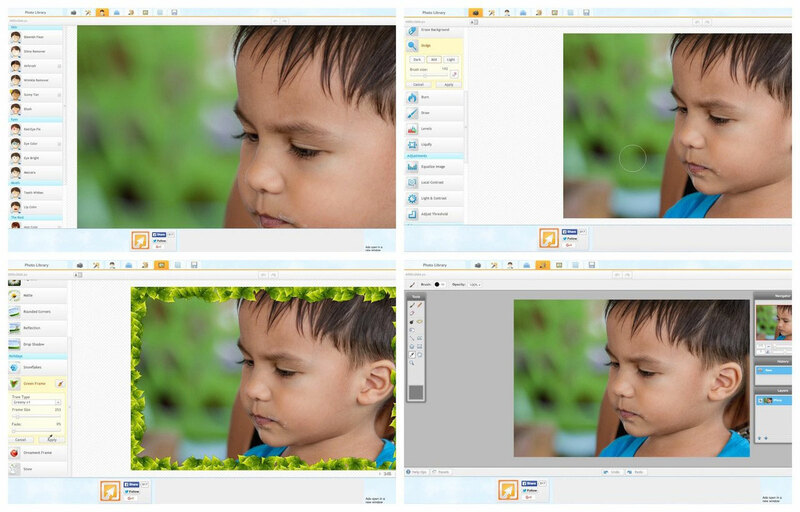 19) PicMagick : a very simple free online photo editor. PicMagick goes straight forward for a fast editing picture, and it is fast to process too, very fast. Extremely simple it has just the minimum tools you need, like the crop tool, rotate, fix red-eye, smooth skin, adjust and enhance colours, sharpen, soften, sepia, grey scale and glow. 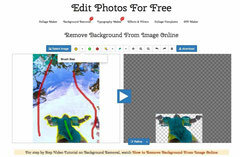 20) Pixenate free online picture editing for social media. 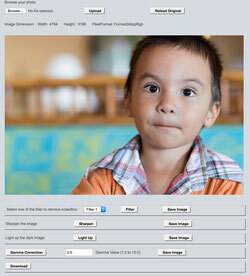 Pixenate is an extremely simple, easy to use and straight forward user interface. This free online editor can straighten your photograph, brighten, and has few basic editing for your pictures, where mostly it's a 1 click photo editing like red eyes, whiten teeth, hand drawing and some fun effects. 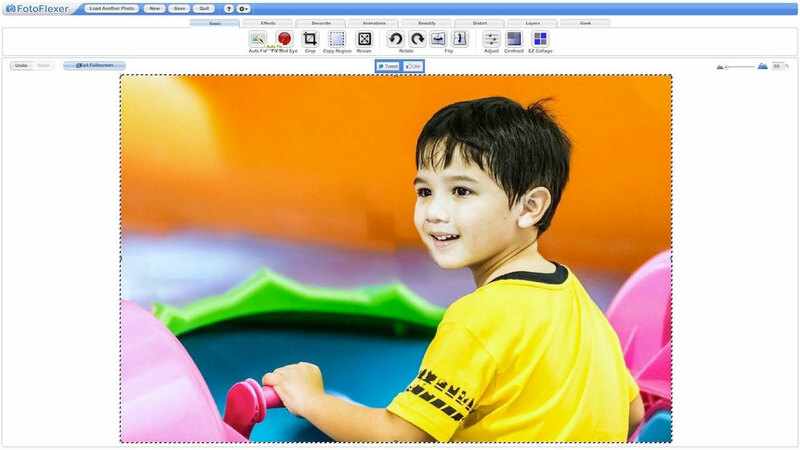 21) Online Image Editor with text and glitters. 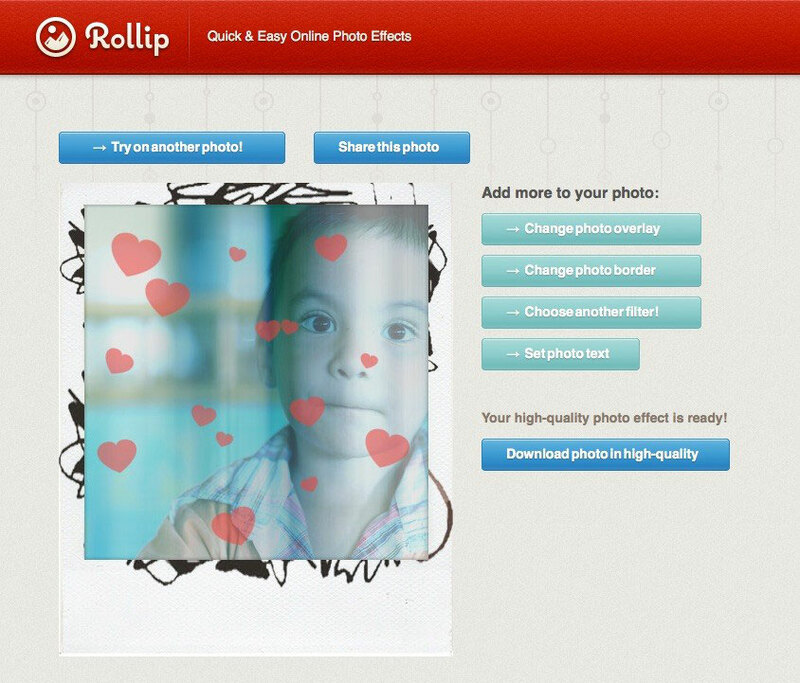 22) Rollip free internet photo filters and borders. 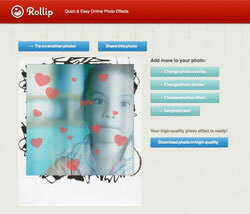 Rollip is an editor which is centered around Filters, overlays effects and borders, only. I am mitigated because it propose to choose a filter before to upload a picture. 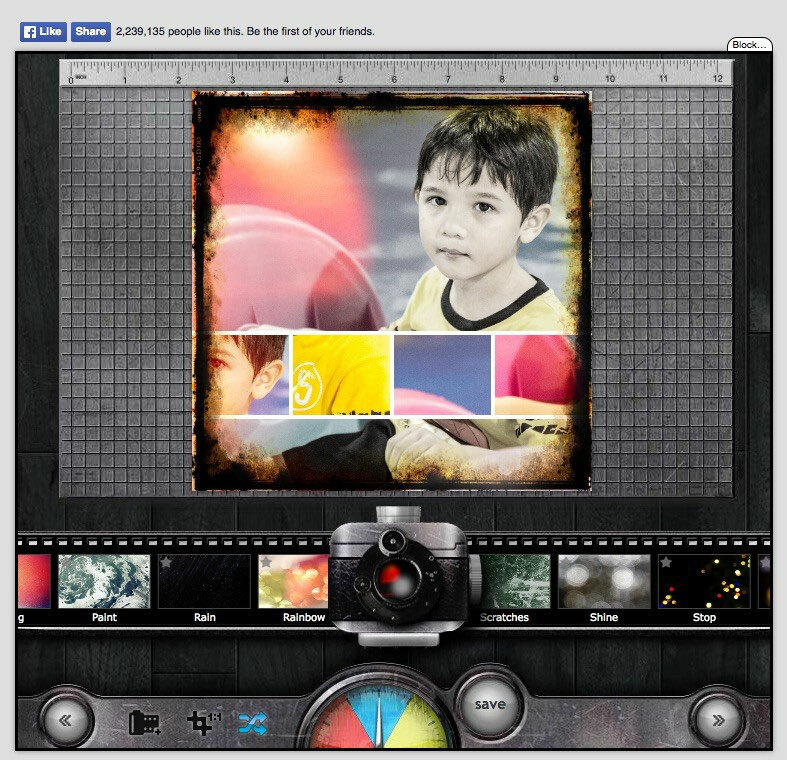 23) PhotoMania free web photo filters and effects. 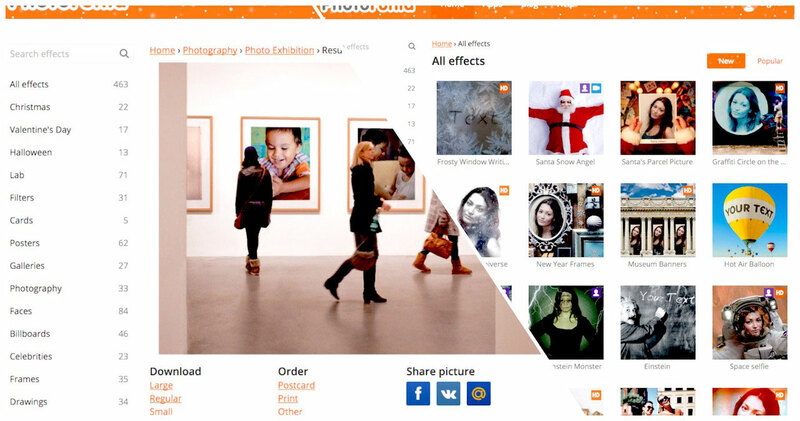 PhotoMania is an editor where all are about filters and effects. It is very simple to use, you just need to choose a category, apply the effect you want, and download it to your desktop or share it online. The only problem, in my opinion, is the size of the resulting image which is quite little (under 1000 pixels at the widest side). 24) Pho.to : A great place for photo effects, layouts and filters. Pho.to is a photo editing suite, a special effects editor with fun and realistic effects. All the tools will not overwhelm the user, because they are separated in different website services like Art, Makeup, Editor, Funny, enhance, cartoon, avatar, cards and share. All the editing photo online services. 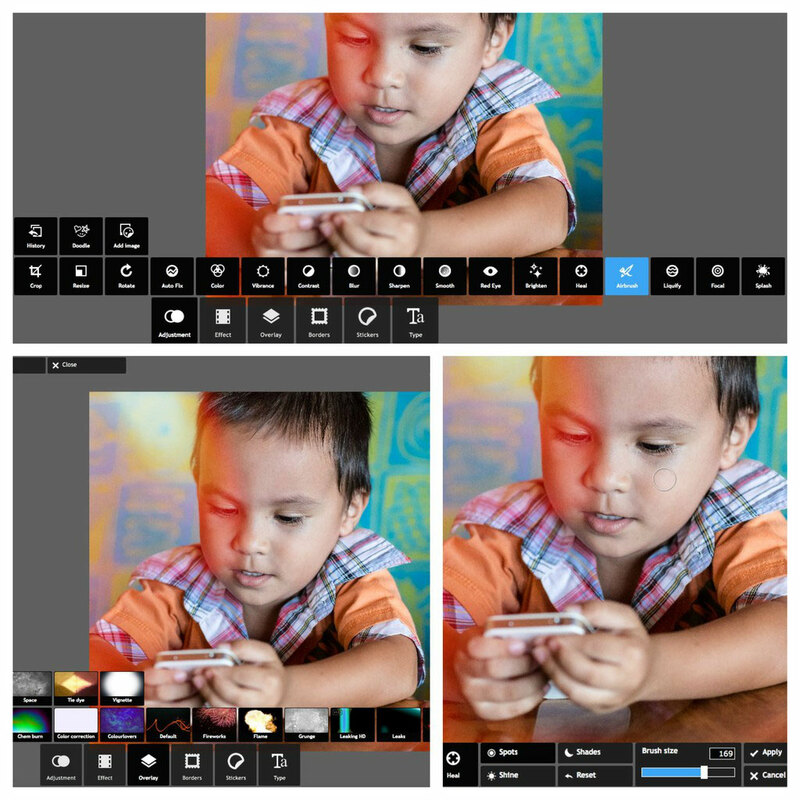 25) PhotoCat photo editor and retouch, collage and effects. 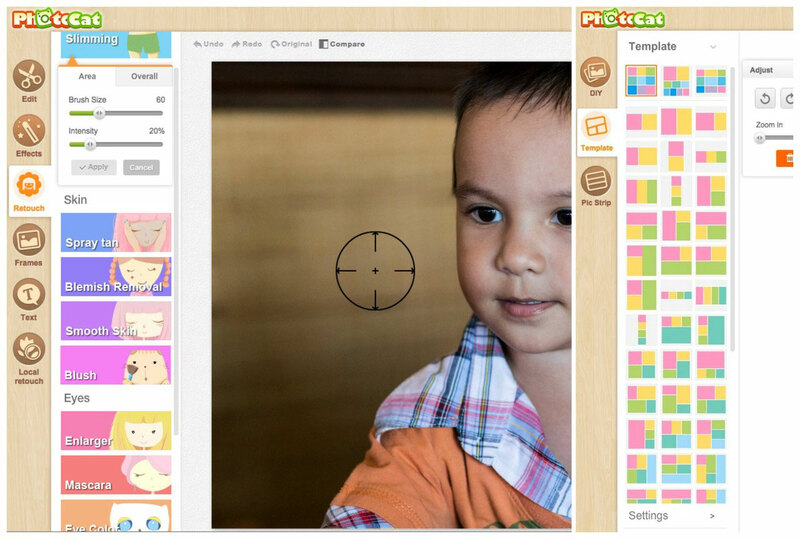 26) PicsTouch free online photo ... resize and crop photos. PicsTouch do not give you a lot of choice, but what it does, it does it well ! You can put some text on your pictures, and even here not a lot of choices, you can blur and denoise without any true control, and you can crop and resize, and ... that's all! The user interface is so simple that it look like it is totally empty (almost) but it's quite well made and very efficient for what we need on this website (resize and crop pictures). 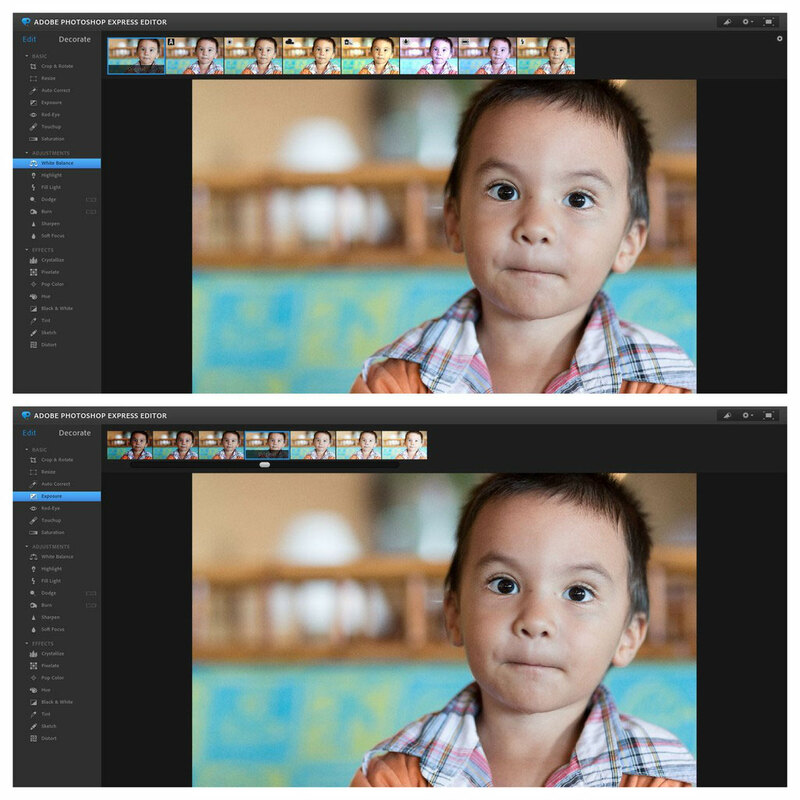 27) Raw Pics.io online RAW converter and lite editor. 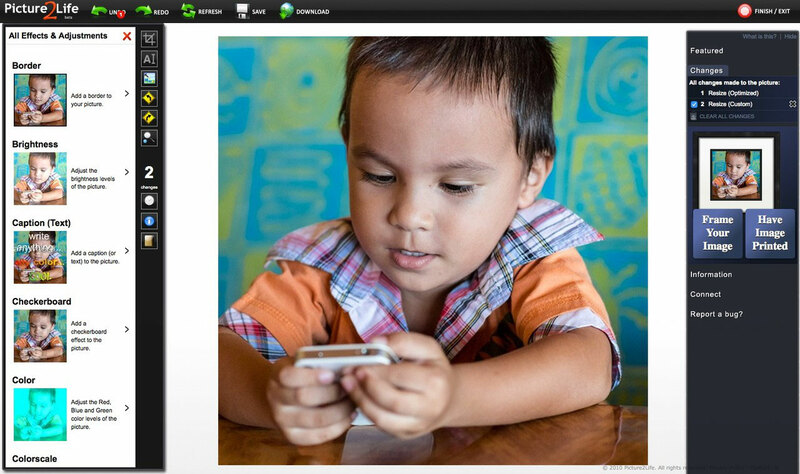 28) Stet.io free online image editor, retouching pictures. Stet.io At the first glance seems to be between Lightroom and Photoshop due to how the tools are spread across the user interface. 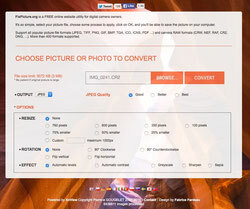 29) FixPicture the pictures converter frustrated by the size. FixPicture.org is a FREE online website utility for digital images with RAW files support. 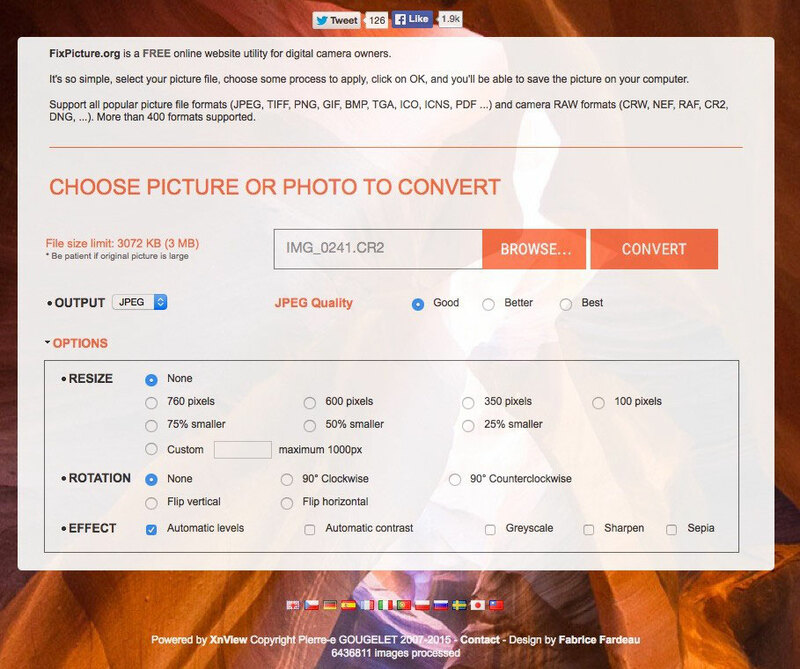 It convert almost any kind or format of pictures in a more usable kind of file like the JPG. 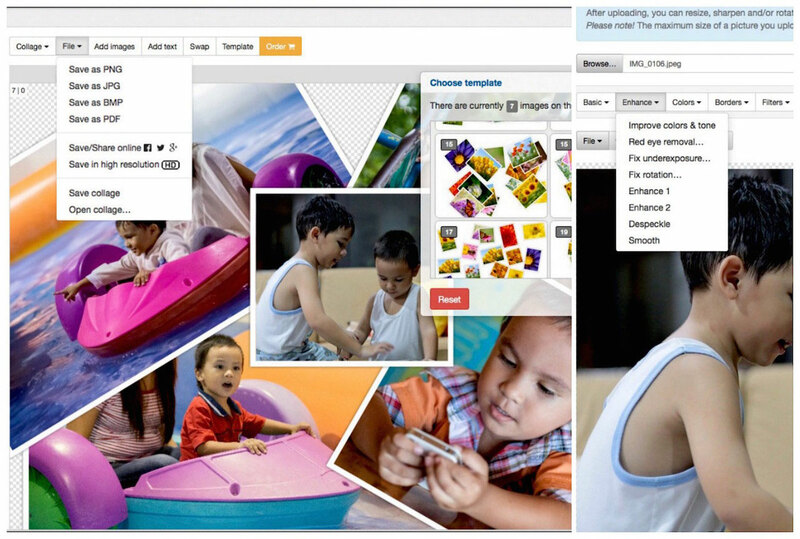 30) Picture2Life online editing application, overlay and collage. Picture2life is well made, but it is not ergonomic or it is too much depending of you. More aimed for beginners with photo editing, it is very often updated with new photos editing tools or overlays. 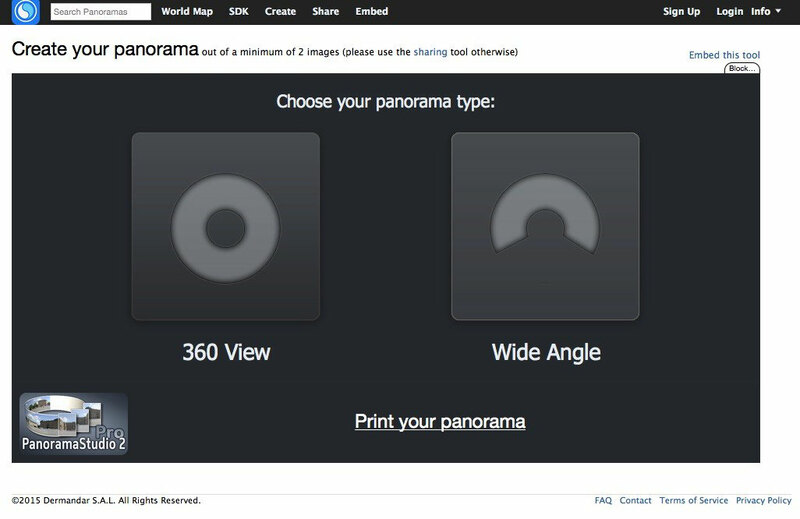 31) Panorama assembly and photos stitcher. Dermandar is an online panorama maker and free online image stitcher which is nice. 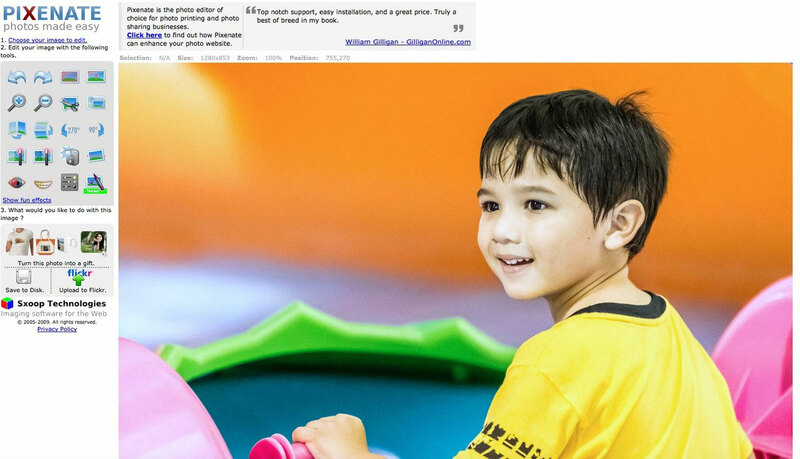 32) Remove Background Online for Free on a picture. Remove Background Online For Free (RBOFF) does remove background or remove people, over all it just remove things from your picture and that's all, but Woww! Remove Background Online For Free does it surprisingly well, yes very well and in a so simple and easy way that it is more amazing than the tool itself. Bravo ! 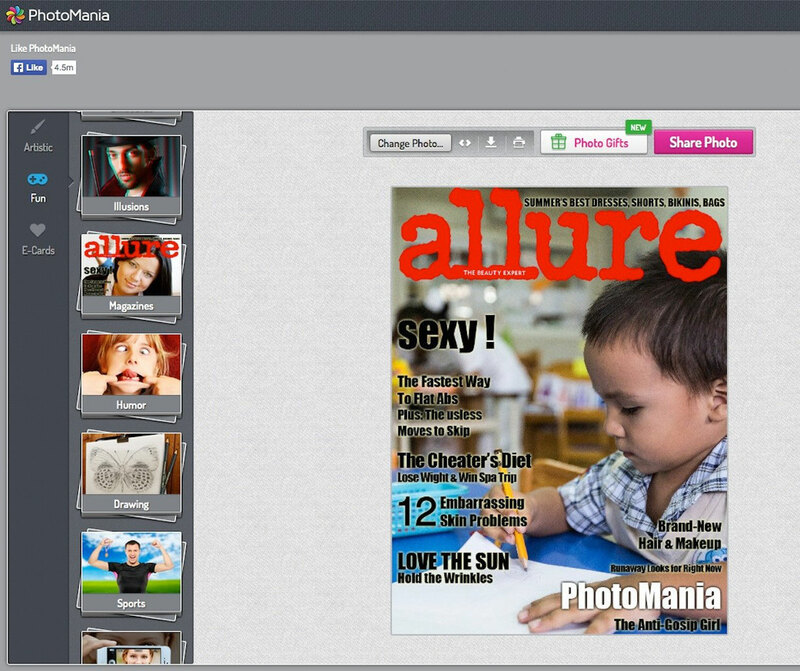 33) PhotoFunia the free online photo effects specialist. 34) Fun Photo Box the little photos editor with a lot of effects. Fun Photo Box has many photo effects and is well tooled with a simple photo editor like was Aviary (it might be an API from Aviary). 35) miniPaint is a simple online Photoshop look like. MiniPaint is very simple for a Photoshop look alike, but it has all the tools needed to edit properly a photo and even more, without being overwhelmed by a ton of surrounded tools. 36) FakeAzine be on the cover of your preferred magazine. 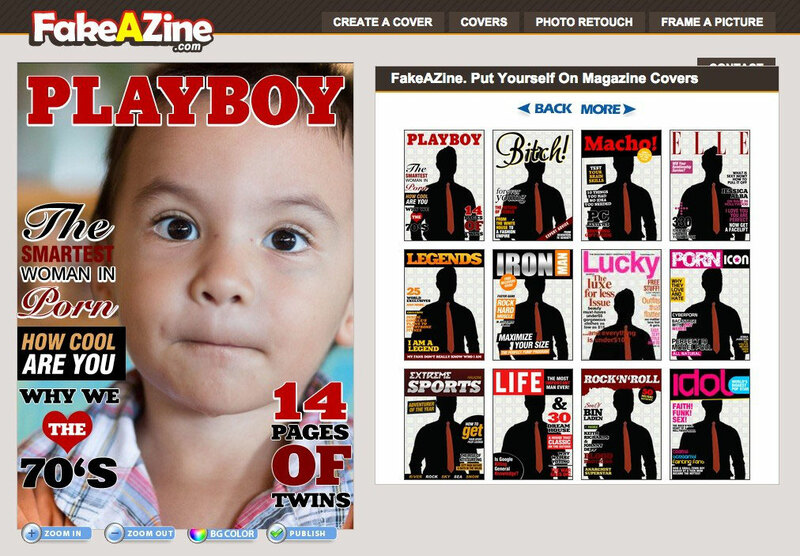 FakeAzine is very fun because you can put a picture of yourself or a friend on a cover of a magazine. 37) Photovisi is a free specialized photo collage online maker. 38) Favicon : draw or upload a picture and get your favicon. Favicon.cc is fast and very well made. You can draw your icons and favicon or upload a picture or a screenshot and transform it, in many favicon sizes for your website, for your apps, for whatever your needs. 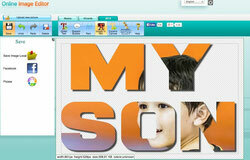 39) Free Online Photo Editor, collage glitters frames, text effects. FreeOnlinePhotoEditor is aimed to beginners and social media, it has a lot of animations, glitters, text effect on the picture. 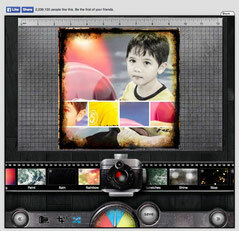 40) ImageBot Online photo editor and special effects. Free online drawing, painting, design and more : I wanted to add few paint and draw free online software for some designer and graphic artists which stop by here, or even just for fun. Not photo editors but it's also about images and graphics. 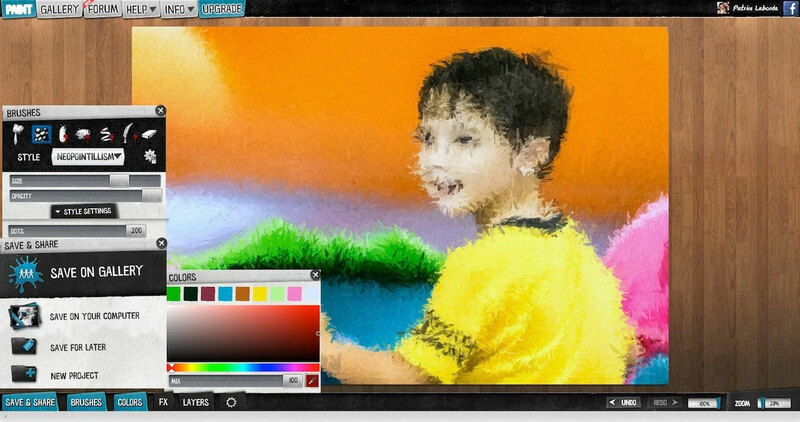 41) PsykoPaint : Painterly effect, your photos transformed in paint. 42) Muro the specialized online paint and drawing software. 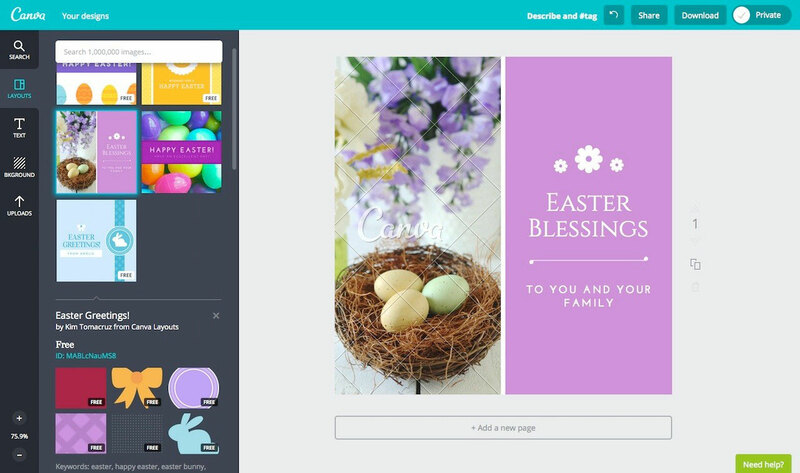 43) Canva create flyers, cards, slide show menu, invitations. Below, the last free online pictures and graphics editors that i am discovering day after day, and where i will do a full review later on (on some of them). The stroked link (link http://) means that i have already reviewed the photo editor and it is in their new online category. 45) http://deepdreamgenerator.com/ transform your photo in just one click. 46) http://www.says-it.com/ nice fun with texts and images. 47) http://boxshot.com/3d-pack/3d-box.html Free Online 3D Box Maker. 48) http://cooltext.com/ Cool text effects and Logo. 49) http://www.fatpaint.com/ Graphic and design editor. 50) http://www.favicon-generator.org/ Upload a picture, your icon at different sizes. 51) http://www.photozoe.com/ a simple and easy photo editor with text and effects. 52) https://www.picozu.com/ a simple Photoshop alike but a good one. 53) http://www.photofacefun.com/ thousands (for mobile too). 54) http://en.picjoke.net/ thousand of effects. 55) https://imgflip.com/memegenerator meme generator, write on your picture. 56) http://bighugelabs.com/poster.php Create movie poster with your picture. 57) http://www.pizap.com/ full photo editor with paint tools and effects. 58) http://bighugelabs.com Huge lab for your pictures, transform your pics in game. 60) http://www.picfull.com/ Photo filters and effects. 61) http://en.retinex.net/ Save picture at original size. 62) http://fotostars.me/en-US/ it save at original size frames and border. 63) http://www.picturetopeople.org nice effect and frames (1200 Px max very clumssy/cumbersom). 64) https://www.tuxpi.com/ save at 1200x1200 max (last checked not working). 65) http://viptalisman.com/photoeditor/ collage, calendar, frames and cards. 66) http://app.pikock.com/pimagic Very Simple editor by one click for each tool. 67) http://www.photoeditor.cz/en/ Filter save at original size upload. 68) http://www.adornpic.com/ photo effects, stickers and a lot more. 71) http://www.photo-kako.com/en/ Mainly filters and effects. 73) http://photo505.com/ Filters and layouts special effects. 74) http://www.enjoypic.com/ Filters and effects. 75) http://anymaking.com/ Effects, oil paint, filters, collage. 76) http://picvio.com/ A promising one, not yet activated. 77) http://editphotosforfree.com/ Background removal, collage, edit, effects, gif. 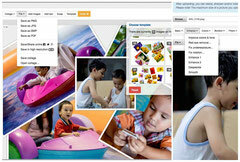 78) http://www.tutorialspoint.com/online_image_editor.htm look nice(not yet finish). 79) http://www.photofunny.net/ plenty of things to do. 81) http://www.imagechef.com/ Need to sign up. 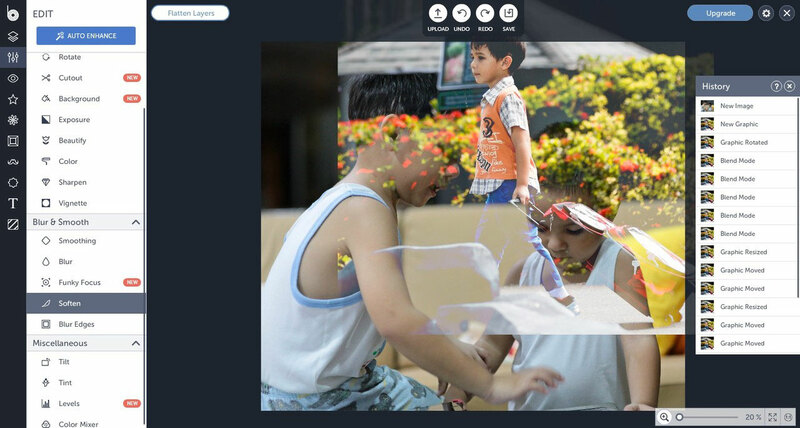 83) http://www.loonapix.com/ effects and layouts, borders and frames. 84) http://makeovr.com Everything for the face, hair, make up, eyes, nails. 86) http://pixer.us/ Simple photo editor with some effects, 6000px upload. 87) http://www.pixisnap.com/ Mosaic, polaroid, 3Mb per image max. 88) http://www.donesmart.com/...../editor.html Simple but good, save at original size and seems to be the only which can scroll down for the stickers. 89) http://www.cellsea.com/free-online-photo-editor Limited image size for effects. 90) http://www.photo4everyone.com/ Mobile and Desktop effects and filters. 91) http://www.livephotoeditor.com/photo-editor no upload (flash and 1280px). 93) http://www.snapstouch.com/ Sketch your picture, draw it, oil paint, B&W. 94) http://clipyourphotos.com/ Add ripples, text and effects. Nice but 800pxl only. 95) http://www.deefunia.com/ filters, billboards, effects (last was down). 96) http://www.iconj.com Icon generator, iPhone icons gen, etc ...Excellent !! 97) http://www.fotocrib.com effects, text, distortion. 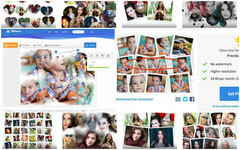 98) https://www.watermark.ws/features/photo-editing Best watermark and text. 100) http://upperpix.com/ Photo editor (no scrolling) it's the one i know. 101) https://photos.google.com/ Simple photo editor and organizer. 102) http://makeagif.com/ Make an animated gif with your pictures. 103) http://rsizr.com/ Do truly Resize and crop your pictures + Collage. 104) http://www.imageeditoronline.net/ collage, effect, gif, combine by layer. 105) http://tiltshiftmaker.com/ Tilt shift maker (miniature and partly blur effects). 107) http://fotojet.com/ Online Collage, card, no upload needed, 1920px max. 108) http://www.pictreat.com/ one click photo retouching. 111) http://www.cloudphotoeditor.com/ magazine covers and filters. 112) http://rasterbator.net/ To print pictures in huge rasterized image up to 20m! 113) http://www.simpleviewer.net/simpleviewer/ Gallery for your website. 114) http://www.kleki.com/ Simple photo editor and drawing-paint, layer eraser. 115) http://picresize.com resize to any size plus some utilities + API. 116) http://fotonea.com/ Free Collage online (1920x1400 pixels max). 117) http://www.myimager.com/ Useless 500 Kbytes limit upload. 118) http://www.onemotion.com/flash/sketch-paint/ Nice online painting. 120) http://www.pixect.com/ Online effect, use also the webcam. 121) http://www.popartstudio.nl/ Interesting photo effect. 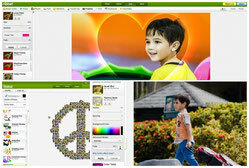 122) http://photopixel.net/ Photo effect (billboard etc ...). 123) http://picbash.com/pic-maker/ card, frames effects, live/upload at the end. 124) http://pixditor.net/ quick resize and effect. 125) http://pixfiltre.com/ full size quick edit and few effects. 127) http://online-photo-editor.com/ Stickers, text and effects. 129) http://www.getloupe.com/ Collage and card. 130) http://vectorpaint.yaks.co.nz/ Vector painting SVG editor. 131) http://cartoonify.de/ make yourself a cartoon can save as SVG too. 133) http://photooutcome.com/ effects and stickers. 134) http://www.fanstudio.ru/index2.php save at original size. 136) http://www.cutmypic.com/ useless 500px resized and below if cropped. 137) http://www.in20years.com/ Your face in 20 years. 138) http://webresizer.com/ resize and compress. 139) http://www.picjuice.com/ resize rotate and adjust. 140) http://picslice.com/ resize slice and crop. 149) http://image.online-convert.com/ convert everything online even to vector. 150) http://webchemy.org/ superb drawing application. 151) http://pinkmirror.com/ face retouch automated (do a nice job). 152) http://www.kizoa.com/Photo-Editor photo and video collage and frames. 153) http://www.pycture.com/ all those lost of time for a 800x800 result. 154) http://profilepicturemaker.com/ for social media photo profile. 155) http://favicon.htmlkit.com/favicon/ image to favicon.ico. 158) http://www.superlame.com/engine.php add fun text and sound. 159) http://www.montagraph.com/ funny effect, face in a hole. 160) http://labs.wanokoto.jp/olds old film black and white effects. 161) http://www.yourcover.com/ need to take a look deeper, may a paid service. 162) http://www.faceonthecover.com/ easy to use fake magazine cover. 165) http://www.toolshell.com/ magazine, special effect, face in a hole. 166) http://magazineyourself.com/ cannot download just share on social media. 167) http://picmarkr.com/ watermark photo online. 168) http://www.escapemotions.com/experiments.php play with paint flame effect. 169) https://burner.bonanza.com/ Background burner (save at 1300px max). 170) http://www.online-code.net/image-converter.html Convert even RAW file. 172) http://picbuzz.pho.to Need to check it, sign up required. Wow, I haven't seen such a big list of useful photo editing tools. Thanks and I want to add one more tool - (http://editphotosforfree.com/photoapps/remove-background-from-image-online/) for removing background from image online which is a clipping magic clone. 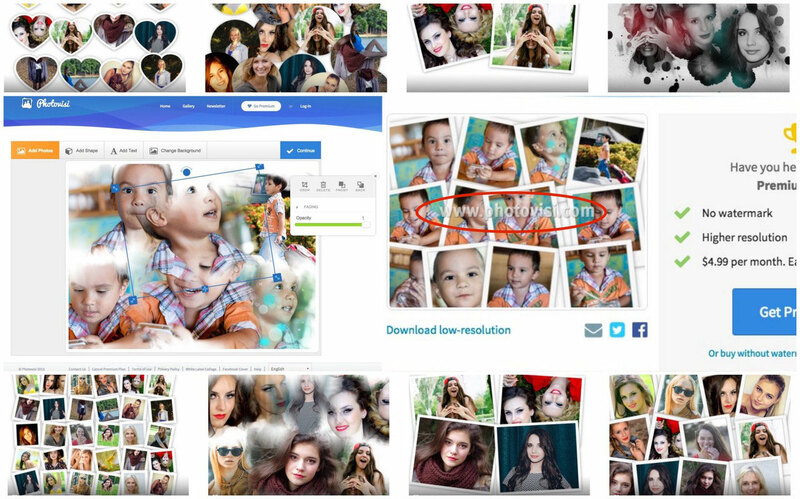 Have you tried Bulk Resize Photos?